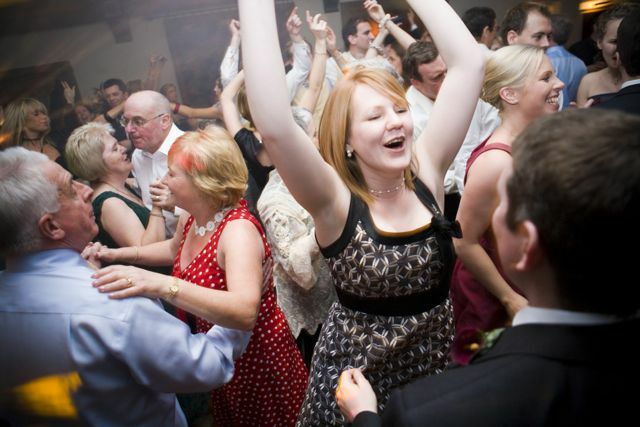 Anyone can call themselves a wedding DJ, but very few have the skills you need to make your wedding brilliant and unforgettable for you and all your guests. Everyone always asks ‘What kind of music do you play?’ But for me, making people dance all night isn’t just about playing the music I love, or working through a wedding music playlist – it’s about understanding and loving being a part of the parties that the people who book me want to create. This understanding comes from years of partying with professional, fun, interesting people. You can read a bit more about my music background. These people are now at the centre of the major events and weddings I play at. My years of experience have led to many testimonials, a few of which you can read here. Dominic Margetson: executive producer for BBC2 televised Tickled Pink at The Royal Albert Hall.